When Amy Mihyang Ginther was a kid, she and her mom had an annual tradition at Amy's school. Amy, who is adopted from Korea, had been getting picked on by other kids because she's Asian. 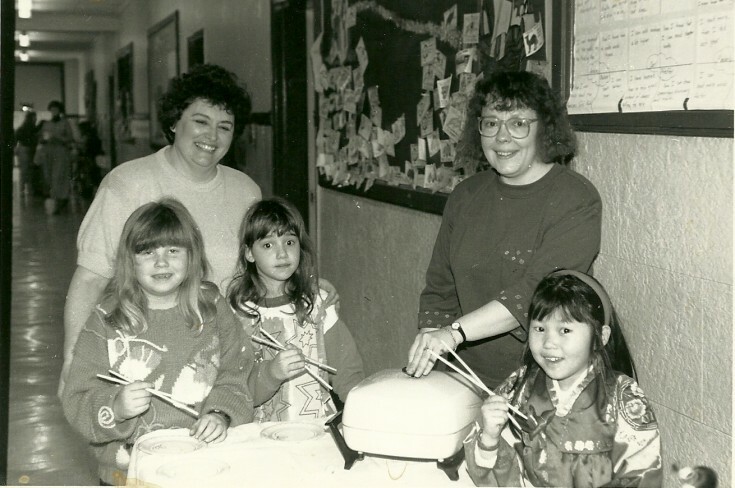 So each year Amy's mom came to her class, and they did a presentation on Korea and served Korean food to everyone. 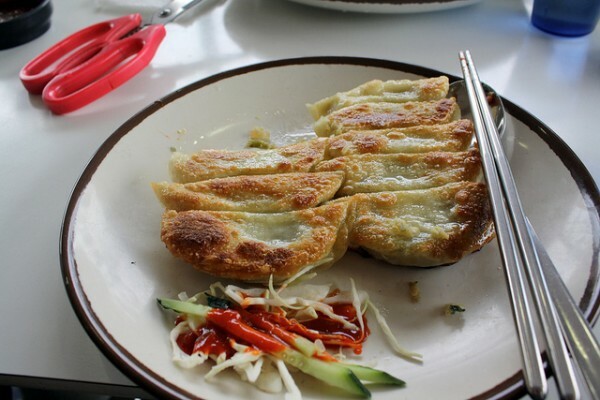 "The kids would learn how to use chopsticks with marshmallows, and then we would make mandu (Korean dumplings, below) and they would all get to eat some of it." "I have memories of someone who hadn't been in my class asking me something and having other kids be like, 'Oh you don't know Amy's adopted from Korea? '," Amy recalls. "It really did build up this knowledge across my classmates." Today on The Sporkful, we're launching a four-part series on race, culture and food called, Your Mom's Food. 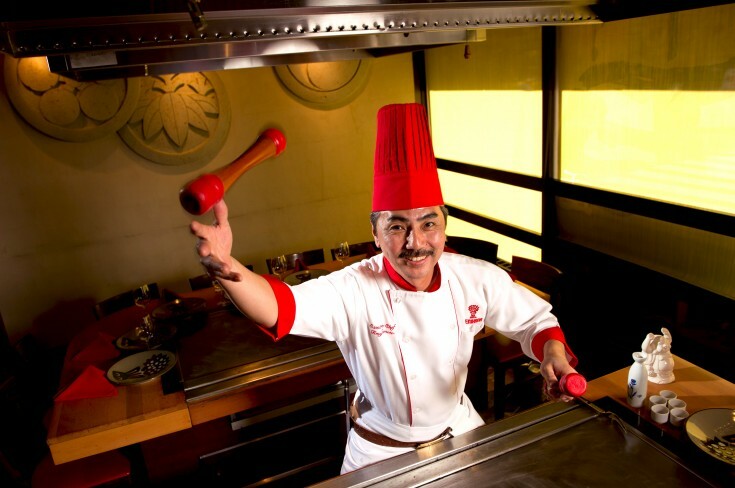 It’s about the complications that come up when we pass our cultures on from one generation to the next -- through food. First up, we look at how parents who adopt kids from other countries use food to connect their children to their culture of origin. 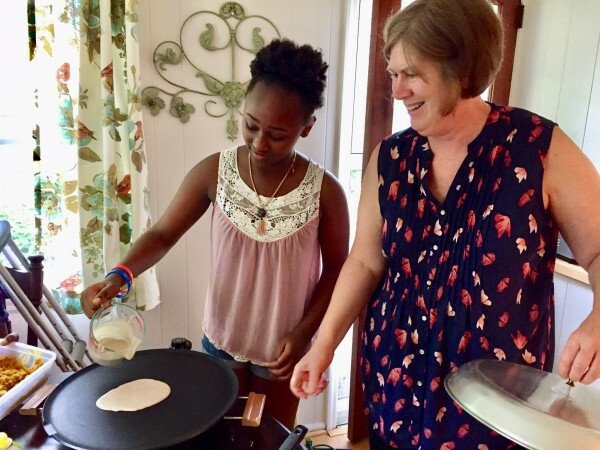 When we visited Mary Heffernan (above, right, making injera with her daughter Tikdem) at her home in suburban Long Island, there were four families getting together – all moms with children adopted from Ethiopia. Every month or so, they get together to cook Ethiopian food and share a meal with their kids. "It was important to me to make sure that [my daughters] really knew where they came from and appreciated it," Mary says. "I felt like it was kind of a promise to [their birth mother] to make sure that I incorporated all of this into their lives." 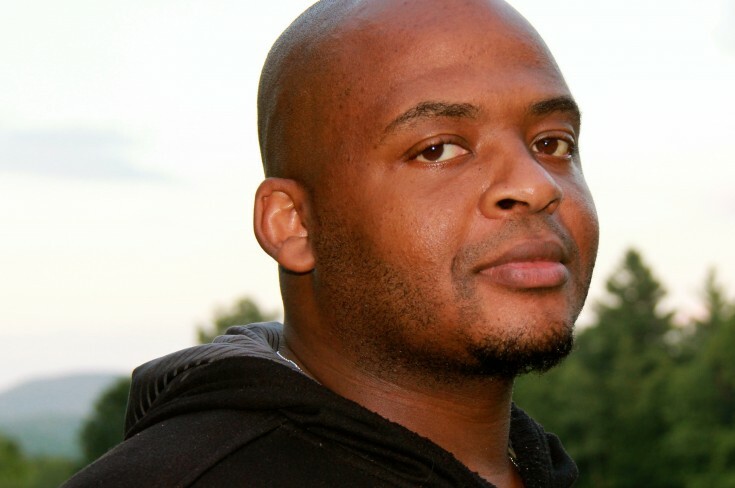 But what happens when adopted kids grow up – and decide they want more? Later in the episode, we hear from two women adopted from Korea as babies -- fellow radio producer Schuyler Swenson and writer/performer Amy Mihyang Ginther. 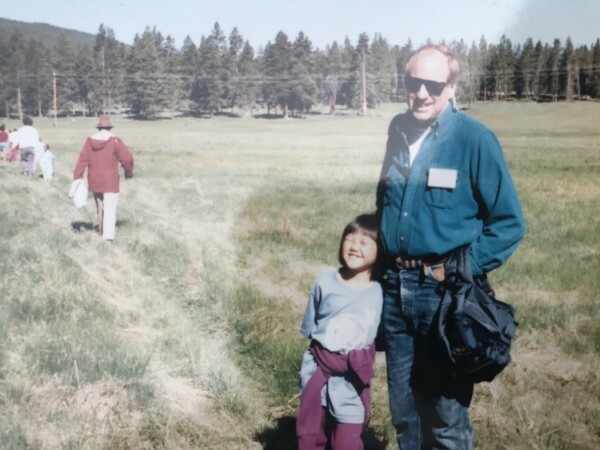 Both Schuyler (above, with her father at Korean culture camp) and Amy were exposed to Korean food as kids in the US. And both moved back to Korea and met their birth families later in life. "I’m finally in this country where I was born, and everyone around looks like me, and there’s all this amazing food," Schuyler recalls of her first day in Seoul. "And I can’t figure out how to do the most basic thing of feeding myself." Listen in to the full episode to hear how food played a role in Amy's and Schuyler's reunions with their birth families in Korea. Plus, Amy and Schuyler share their advice for families with children adopted internationally. Shop at Modcloth.com and enter promo code SPORKFUL to get 30% off your order of $100 or more. Go to Daily-Harvest.com and enter promo code SPORKFUL to get three free items in your first order. Go to SunBasket.com/Sporkful to get 50% off your first order.